What is eating into the profit margins of your wet leisure business? Golden Coast / News & Offers / Sales & Marketing / Blog / What is eating into the profit margins of your wet leisure business? There are signs of an economic recovery but many wet leisure businesses are still having a tough time. Why is that happening and what can you do about it? The rising cost of doing business. Your profit margin is what keeps your business alive. Your profit margin is the reason that you are in business. But maintaining that margin is always difficult and has become increasingly hard. 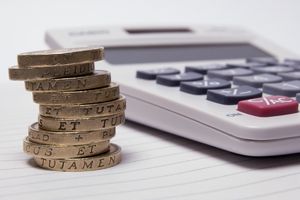 A recent survey by the Forum of Private Businesses has shown that total business costs are rising 3.5% above inflation but hardly any businesses, in whatever industry, have been able to pass all those costs on. If we look specifically at the wet leisure industry, where are those increases coming from and is there anything that you can do about it? It’s hard to control what you don’t see. Some price rises and cost increases for your business are easy to see and, to some extent, easier to pass on to your customers as they should be. Products and stock always seem to be getting that little bit more expensive. The survey suggested that 69% of all businesses in the UK had seen price rises in those areas over the last year and that really is no surprise. Across the world, raw materials are becoming more expensive and the energy used in manufacturing is also rising in cost. When it comes to the wet leisure industry, the relative weakness of the pound makes imports more expensive and many of the products we sell in our industry are imported. This tends to squeeze margins all along the supply chain; from manufacturer to distributor to businesses like your own but at least the price increases are easy to see and can be attributed to each installation project or sale. Things become a bit more complicated when you look at fixed costs, the overheads of your business. Energy costs are always on the increase. Over the last 12 months, there have been massive hikes in the cost of energy. Increasing energy costs are harder to pass on to your customers, as they don’t appear as an item on your customer’s bill. Someone comes in to buy some chemicals, they expect your showroom to be warm and lit but they don’t expect to be charged for it. But somehow they have to be. Every sale you make has to make it’s own, small contribution to your energy bills. Almost 90% of all businesses in the UK reported an increase in energy costs. Better deals can sometimes be found if you shop around amongst energy suppliers but probably the best advice is to make the same kind of energy savings that you do at home. If you can, improve the insulation in your premises. Turn things off when they aren’t being used; printers, computers, lights etc. As energy gets more expensive, all those little savings become more important. The other big area of rising costs that are eating away at everyone’s profit margin are transport costs. In the last few months, UK pump prices for diesel have actually fallen and that is good news but it needs to be seen in context. Over the last 10 years pump prices for diesel have risen by 88% and that overall trend is not about to change. Using less fuel will help your business stay in profit. You might be able to change to more efficient vehicles. If you run more than one vehicle in your business, always try and use the most economical one for every journey. Plan your journeys and delivery trips as efficiently as possible. Keep the mileage down. Every little saving adds up. In exactly the same way that every little cost increase erodes your profit margin, every little saving helps to protect it. As prices continue to rise, and sadly they are sure to, each action you take that saves you a unit of energy or a litre of fuel saves your business even more money. When you look at those actions and see them as increasing your business efficiency rather than viewing them as signs of increasing austerity, they become that bit easier to do.